There's a bit of a flutter in the religious debate world at the moment as Joseph Atwill's Covert Messiah seminar is due to take place on the 19th of October in London. There he will announce the case for his 'ancient confession' and theory that Jesus is 'a fabricated cover story for an Imperial psychological warfare operation born out of the First Jewish-Roman War in the first century.' But do such claims hold any weight or is this just another theory drawn together by wishful thinking and a loose grasp on history and theology? 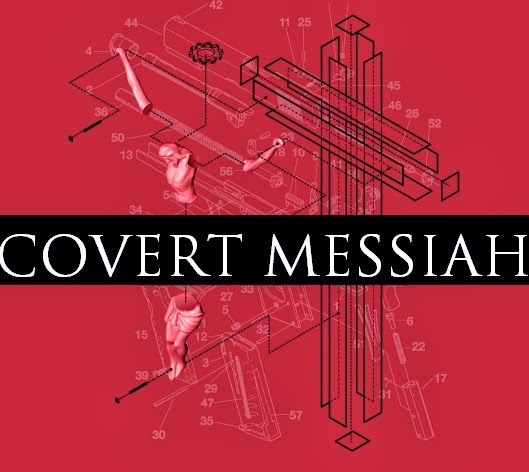 Is Covert Messiah simply a money making scheme created for controversy and a tidy £35.00 entrance fee? Joseph Atwill reassures us that although the idea may sound far-fetched the quality of the evidence may surprise us. That remains to be seen but until the unveiling, the internet is left to speculate about the premis of his argument based on the contents of his previous work which the seminar will likely reinforce. Mr Atwill calls himself an American Biblical Scholar (a title that is debatable). 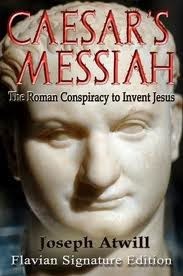 While he may be bundled up with other Christian mythicists like Ralph Ellis, whose Jesus as the son of King of Edessa theory received much more than a skeptical eye, the documentary based on his works did gather quite a bit of a following. This doesn't mean much in the way of reliability- I learnt that about The God Who Wasn't There and still feel a bit stung about the debunk. 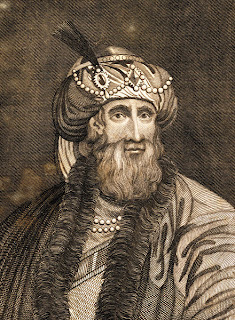 The theory that Jesus was developed by the Roman government and then employed historian Flavius Josephus to write the gospels is not an entirely new theory in fact it closely replicates a theory that has been reworked several times in the past century, and has many similarities to the Piso Family Conspiracy which is generally thought to be unfounded. In Atwill's reworking he believes Josephus has left clues in his own writing which correspond with the New Testament that when pieced together point at a conspiracy for psychological warfare around 70 AD as a way to pacify the Jewish people. I'm not going to lie, the cleverly marketed symposium did draw me in, I like the touch of hosting it in Holborn's Conway Hall, more so because I used to work in Holborn and know the area is littered with masonic goings on, only adding to the cloak and dagger feel. Atwill has his own sentimental reasons for choosing to hold it Conway Hall and it is a fitting venue; it's founder was an advocate of free thought. However, I suspect the unveiling will not fulfill anyone's need for definitive answers and will fuel the blogosphere for many months to come. 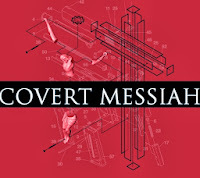 Covert Messiah is being held on the 19th of October 2013 in Conway Hall, Holdborn, London. You can get more info and tickets here.